Spreadsheets all over the place. Teams in different regions. No visibility over training targets. Why is an LMS the right investment? In this article, I’ll share 7 tips to help you determine if a new Learning Management System is the best choice for your organization right now. Whether your training technology is outdated, or your L&D processes are, a modern LMS can transform your learning environment. Invest wisely and your training KPIs will improve, along with your bottom line. However, failure to build a robust business case for a new LMS can lead to a lack of engagement from senior leaders. It can also mean corporate learners are not reaching their skills targets and your L&D strategy is at a standstill. If you want to judge whether a new LMS is going to give you the necessary bang for your buck, read on. 1. Will It Improve User Experience? If you’re going to ask for an LMS budget, then you’d better be able to identify what problem it’s going to fix. Luckily, that’s generally an easy one! Will developing a global, standard system bringing together every training resource in one place improve user experience? Will providing a detailed analysis of progress against training KPIs help to demonstrate increased workplace skills? Yes, on both counts. Do you currently have a reliable tool that provides either of those benefits? If not, then you must consider how a new LMS will enable an increase in employee satisfaction and reduce turnover. Committing to higher skills and investing in individuals is the best way to increase retention and satisfaction. 2. Will It Deliver A Significant ROI? There’s no point going into a discussion with a new LMS vendor if they can’t explain to you the fantastic ROI it can deliver. You may not quite deliver all of it, but you want to be able to communicate to your stakeholders that this is an investment worth making. The business case is straightforward. An LMS enables a highly skilled workforce. In turn, it helps achieve business objectives. Skilled employees make for excellent customer experience, which differentiates you from competitors and makes you more attractive to both customers and investors. All of this is supported by accurate, timely reporting from anywhere in the world. Implement your LMS right, and ROI is assured. 3. Does It Perform In Your Learning Environment? Choose a responsive design LMS so that your corporate learners can carry out their training anywhere, anytime. It’s essential in our technology-enabled world that your training can be carried out on any device. Anything else will exclude corporate learners from the benefits of learning on their terms, without the travel costs associated with classroom training. A good LMS will have a social element to it that links seamlessly with your existing social platform. Connecting people across locations whilst training is hugely beneficial in virtual teams. Their shared understanding and questioning will strengthen their bond and their knowledge. 4. Will It Work Seamlessly With Your Online Training Delivery Strategy? What’s your top priority for delivering online training across your organization? Perhaps you have an expansive collection of online training resources, in many different formats and versions. You want to bring them all together in one place, as well as implementing a new design template. A new LMS would be worthwhile here because it provides that central interaction point for access to online training resources. Are you looking to make use of latest technologies to provide a flexible online training program? 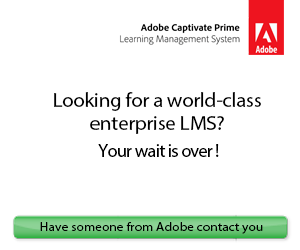 Choose an LMS that enables webinar training delivery, and any other functionality you need, such as offline training. This will support a strategy of moving away from the classroom to a virtual training environment, with associated cost savings. 5. Does It Provide Better Scale For Your Organization? If your organization has changed in recent years due to acquisition or expansion, then you need a new LMS that can cope with the new environment. You need to consider an LMS which will operate across a global environment, in different languages and time zones. It will need to support larger user numbers as the organization continues to grow. And if you have seasonality in your workforce, you will need to get online training materials for new hires quickly and consistently. You may want to choose a cloud-based system if you are operating a locally hosted LMS, as this will minimize your storage limitations and costs as your resources grow. 6. Can The New LMS Help Me Retain My Top Talent? Employees are more likely to stay with your organization when they get the online training resources they require to continually improve. An LMS helps you fulfill your end of the bargain so that every member of your staff receives personalized L&D resources. Thus, you reduce new hire training expenses and retain your top talent with the right LMS platform. 7. How Does An LMS Stack Up Against Traditional Training? 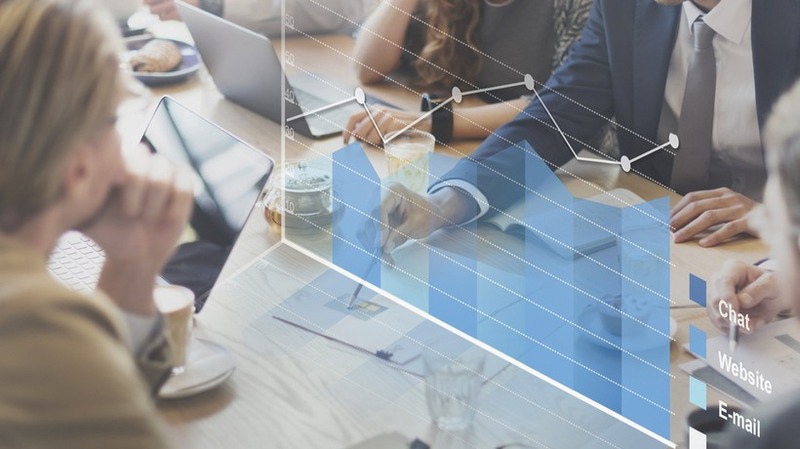 One of the best ways to determine if a new LMS is worth the investment is to evaluate your current training program, especially if you’re still relying on traditional training methods. An LMS can help you reduce instructor fees, site rentals, printed resources, and even minimize online training seat time. As such, you decrease L&D spending while increasing knowledge retention and recall. Investment of any kind in a tight operating environment is a difficult premise. Armed with a set of conditions on which to base your decision, you can be reassured of a solid business case. As far as investing in a new LMS, consider the positive impact on your people, your training targets, and your L&D strategy. Can you demonstrate how your new LMS will affect your bottom line? If the answer is yes, then you have your decision made. Are you ready to find an LMS that’s just right for your organization’s online training requirements? Get free LMS consulting and let us match you with the top 5 vendors that offer the features you need at a price you can afford. All it takes is 5 easy steps to view your results and then compare the top choices.